This brand evolution is complemented with a softer and more pleasing aesthetic for the products and logo and memorable slogan, “Safety + Smiles”, that captures the values at the heart of the brand. The old logo was almost okay had it not put a tittle on the "I" or made the "D" seem out of a rejected The Terminator poster or if it had been for something other than baby and toddler car seats. So maybe in retrospect it wasn't an okay logo or it would have been okay for some kind of automotive oil change shop. The "N" was nice, though. The new logo is a perfect concept: a heart with a seatbelt. It's kind of cloying but the moment you become a parent and think of putting your little treasure inside a giant, motorized bullet fighting for speed and space against others, a heart with a seatbelt is exactly what you want to see on the cushioned throne you are about to purchase for your baby. Sarcasm aside, it gets the point across about providing car safety to your loved ones. I wish the execution were better or more illustrative, instead of looking like clip art with poor bezier curves on the seat belt. The exclamation marks are also painfully Adobe-Illustrator-y when seen large. To its credit, they look nice embroidered on the product. Wordmark is fine… unnecessarily high on the "d" ascender but nothing too annoying. Someone gave ip on the "safety+smiles" tagline (both what it says and the type it says it in). Overall, a nice and appropriate idea that could have used some more love in execution. Thanks to Jon Stapp for the tip. (Est. 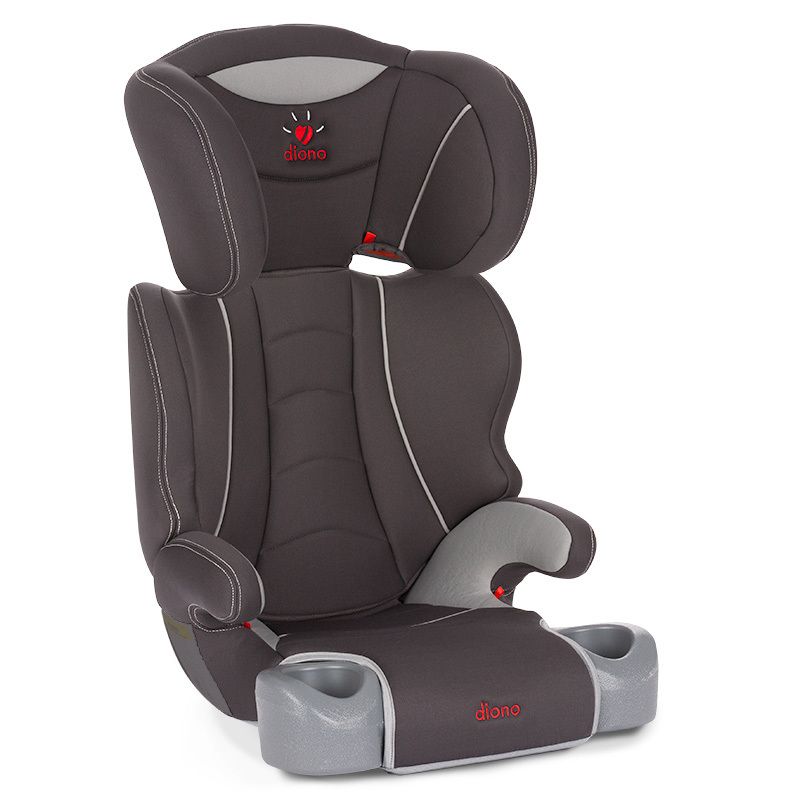 1999) \"Diono®, a leader in child safety and innovation, provides families safe and enjoyable travel experiences with award-winning products. With more than a decade of experience, Diono® continues a heritage of excellence that includes more than 100 International Awards from industry and consumer groups for safety and thoughtful design of car seats and travel accessories. Diono® is headquartered in Seattle with six worldwide offices located in Canada, Germany, the United Kingdom, France, Hong Kong and China.\"